Yesterday I graded the overall performance of the Nintendo Wii, the "winner" of this past generation of consoles. You may recall an article in February about third-party exclusives. Well, today I am going to list my favorite ten first-party Wii games coming from the house that Mario and friends built. The Wii gets a lot of hate for having "no games", yet how many critics really bother investing time into examining the system's library? Not many, and that is a damn shame. Regardless, which ten top tier titles deserve to be on this list? Note: At the time of this list I had not played Xenoblade Chronicles yet. On presentation alone, the first game on our list is an impressive feat. 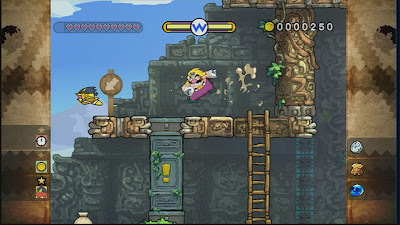 With cutscenes created by famed anime studio Production I.G and a hand-drawn art style that makes the game overflow with vivid colors and charm, Wario Land: Shake It! kicks off the countdown. Each level had Wario moving through bashing baddies, collecting treasure, jewels, and coins, and solving platforming puzzles in his quest to vanquish the sinister Shake King. 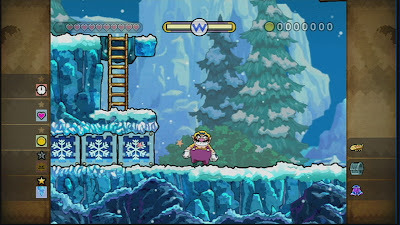 The second part of the level has Wario making a mad dash to the goal before time runs out a la previous installments of Wario Land. The game added replay value through challenges like not getting damaged in a given level, racing to the goal within a set time limit, and gathering enough money to satisfy the game's goal. As good a game as it is pretty to look at, Wario Land: Shake It! 's art and gameplay mesh together to create one unforgettable 2D platformer. 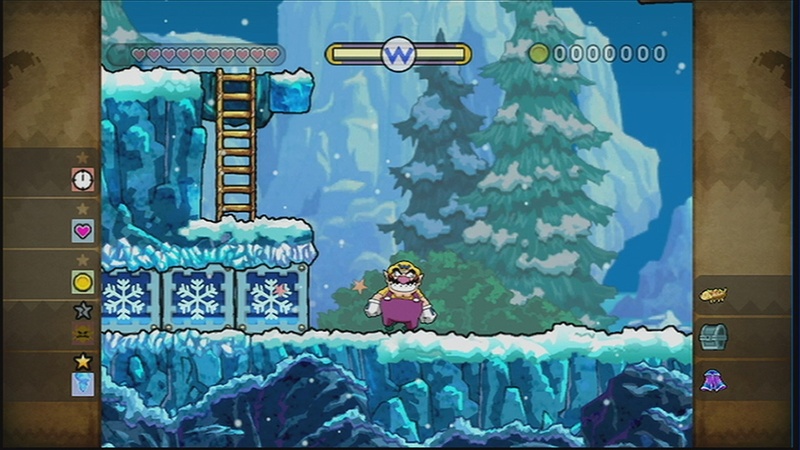 A popular theme with Nintendo's 2D platforming titles was the addition of cooperative play. We'll see this theme pop up again in numerous games which are forthcoming on this list. 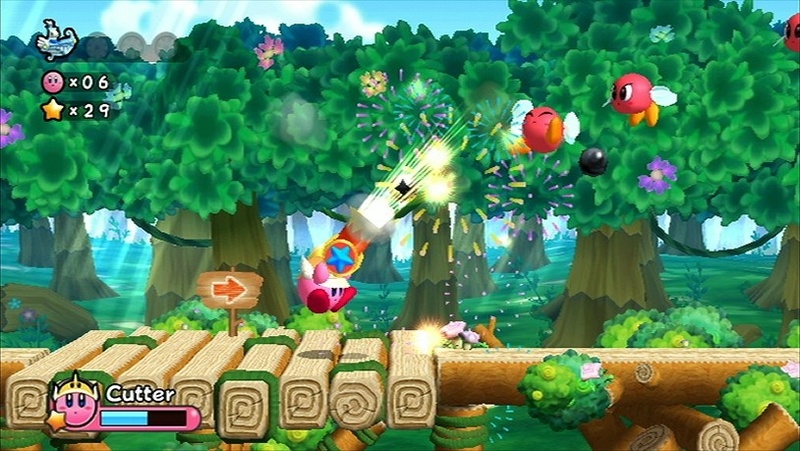 Kirby's Return to Dream Land featured the return of Kirby sucking up powers, turning into various forms like Ice, Sword, and Spark, finding special gears to open up new mini-games among other secrets, and exploring multiple themed worlds with creatively designed levels. While the game is on the easy side, after the first-time completion of Dream Land, an extra mode opens up where Kirby and the gang get less health to work with. This mode is definitely the opposite of easy. On the co-op side of things, up to four players can work together to beat the game with drop-in and drop-out cooperative play. Friends with benefits and all that. My favorite racing game of this generation does not follow the same rules as your typical racer. You aren't just competing for first place-- no, you have to win with style. 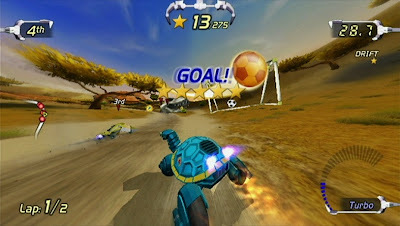 Performing stunts and tricks like pulling off a Super Spin in midair, finding the ingredients to fix a Super Sandwich, punting field goals, and kicking soccer balls into a net as you race around the lush and vibrant tracks all around the world are goals of Excitebots: Trick Racing. For each stunt you manage to pull off, you earn stars. The racer with the most stars at the conclusion of a race is deemed the victor. Of course, it doesn't hurt to score first place as you net a nice chunk of stars as a bonus. The game is controlled entirely with the Wii remote held like an NES controller, and surprisingly, the racing feels incredibly smooth and responsive. Any game where your vehicle can sprout legs, start walking on them, and begin kicking other adversaries is worth a look in my book, and with online play, multiple vehicles to unlock, and several difficulties to master, Excitebots proves that we live in exciting times. With Rare gone the way of Kinect and avatars for Microsoft, it seemed that the fan of Donkey Kong Country would never get to play another game like the DKC trilogy. 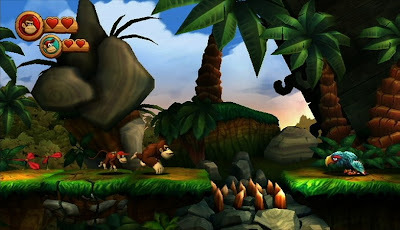 Sure, games like Jungle Beat and DK King of Swing were awesome in their own right, but players salivated for a new Donkey Kong Country from Rare. Well, while Rare had nothing to do with the game, it was Retro Studios that took control of the helm and unveiled Donkey Kong Country Returns. 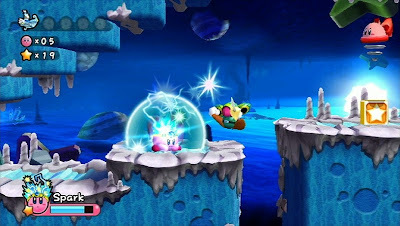 It was back to basics with the series as DK and Diddy once more teamed up (one could even team up with a friend for local cooperative play). With a high level of challenge, Donkey Kong Country Returns certainly made some critics change their opinion on all Nintendo games being easy to beat. The secrets were well-hidden, the visual style and art of levels were sensational, and the level design was eerily similar to Rare's finest works from the olden days. Here's hoping we don't have to wait over a decade for the next Donkey Kong Country. Speaking of Retro Studios, their first project as a company under the wing of Nintendo was a first-person Metroid game. Seriously? How could they turn my Metroid into such a thing? That was the opinion of many Metroid fans at least when they heard/read of this news. Turns out there was nothing to worry about as the masters at Retro, under guise of key Nintendo staff, concocted one of most storied entries in the Metroid franchise. What was once a GameCube exclusive was ported with Metroid Prime 2: Echoes and given pointer controls, ones that vastly are superior and quicker to turn and shoot with than dual analog. 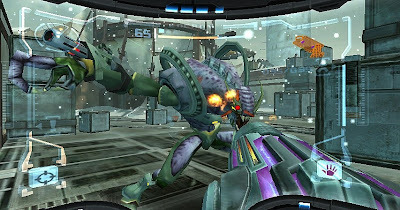 Also joining the two GameCube classics was the Wii's Metroid Prime 3: Corruption. This compendium of Retro's finest was named the Metroid Prime Trilogy, and it was given a limited run. Collectors and gamers alike put a high price on even used copies. 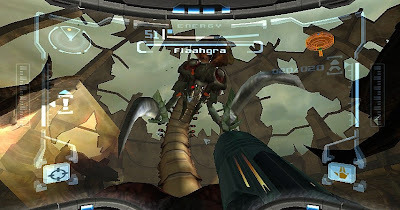 The Metroid Prime trilogy is a fantastic trio of titles, and if this is just the beginning of their rule under Nintendo, I cannot wait to see what they cook up next. When one of the only problems players have with a game comes from aesthetic choices, you know a game has to be something special. 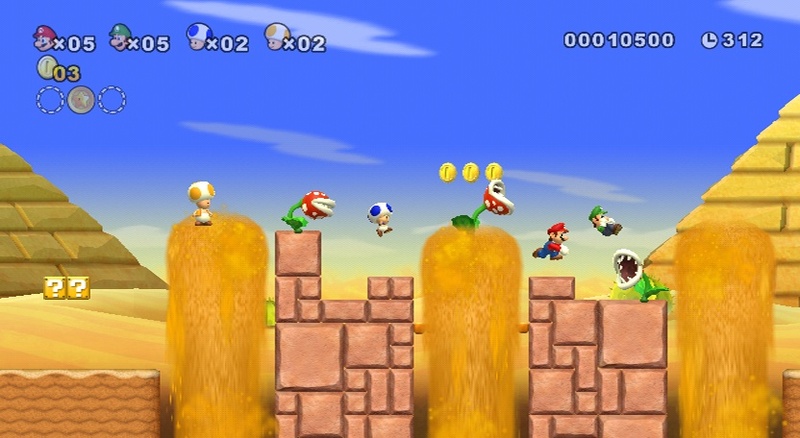 New Super Mario Bros. Wii was something special, indeed. It followed the groundwork that was laid by its DS cousin, but offered more interesting level design, a greater challenge, and yet another kidnapping of Princess Peach by Bowser. It is getting to the point where I think Bowser has spent more time with Peach than Mario at this rate. 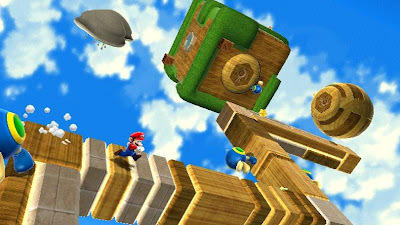 Regardless, the nine worlds offered many different routes to take to reach the game's end, and levels possessed secret exits leading to harder levels and cannons to skip past worlds. 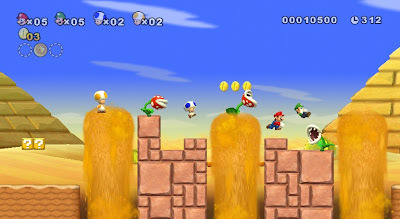 New Super Mario Bros. Wii also introduced the concept of cooperative play to the series. No longer did one player have to wait for the other to finish a level. You could play together on the same screen. When a player perished, they would-- at least if they had at least one life left-- float back on screen in a bubble. 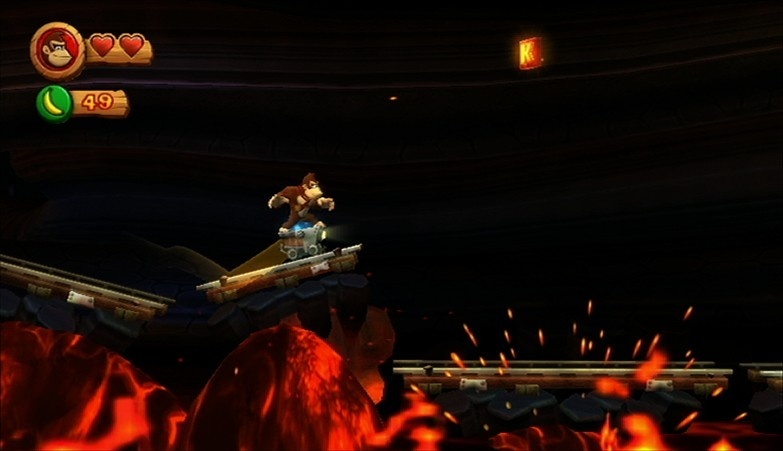 The idea was so novel that Michel Ancel would "borrow" it for Rayman Origins, another tremendous 2D platformer. 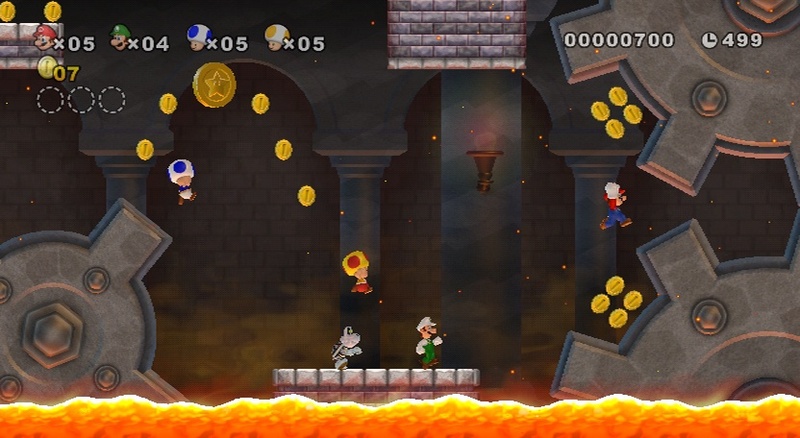 What it lacks in an intriguing art style, the newest Super Mario Bros. game makes up for in sheer fun. 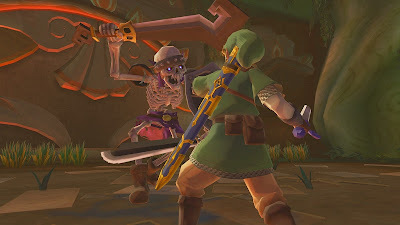 It was a long five year wait between The Legend of Zelda: Twilight Princess and Skyward Sword. It seems to be a tradition that after a new Zelda is released, fans clamor that the one before is better. This has happened for the longest time, and it makes me hate the Zelda fan base. Nonetheless, The Legend of Zelda: Skyward Sword blew me away. 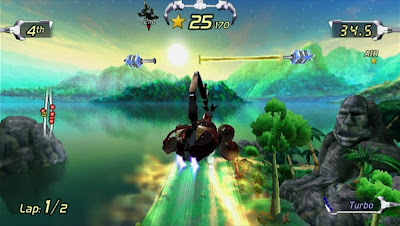 It all had to do with the colorful world full of places to explore, Pieces of Heart to collect, materials to nab to create better equipment, some of the best boss battles in series history, some creatively designed dungeons, fun-to-use items like the Beetle, and the most important part of the game, the added motion controls. Some just could not for the life of them get a handle for them, or they would just waggle like an idiot ("epic fail" as a typical message board dweller would annoyingly spout) and wonder why they stunk at the game. With precise slashes, you, too, could be a Moblin-killing machine. It turned almost every encounter into a puzzle. Where should I strike to damage this foe? How do I avoid this attack? What is Link's obsession with pointy hats? All these questions I asked myself while playing. 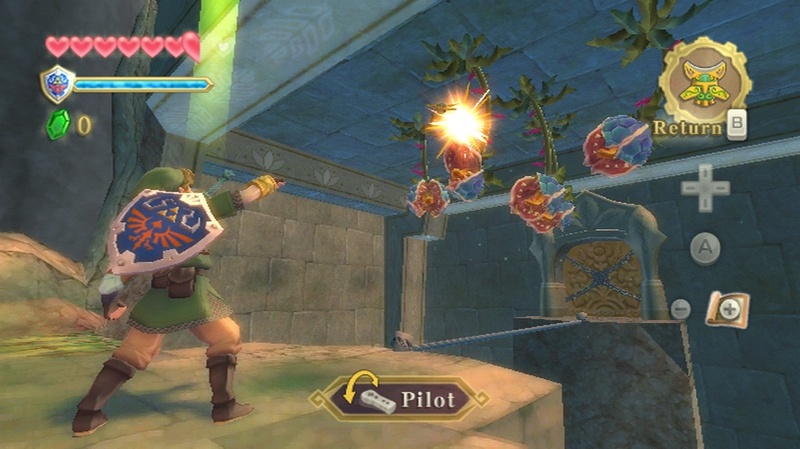 Combined with a mostly memorable, orchestrated soundtrack and my second favorite 3D Zelda visual style, Skyward Sword soars higher above most three-dimensional Zelda games. Who knew that plumbers could breathe in space? Mario is always full of surprises, and this is yet another one to add to the ever-growing list. Super Mario Galaxy was quite a bit more linear in level structure than say, Super Mario 64 or Super Mario Sunshine. This helped to make levels that were more focused and similar to what one could imagine a Super Mario Bros. 3 level to look like in 3D. I remember going down to a local GameStop just to experience the demo of the game for myself before its release date. I was floored by the impressive visuals, all of the special effects that seemed to be pumping out of the little white box, and the super-satisfying symphonic score that greeted players as they toured the various galaxies of the game. Who could forget first stepping foot in the Gusty Garden Galaxy, hopping a ride on a flower, floating helplessly in the wind? Or how about playing a level that was one part fiery furnace and one part frozen fjord? 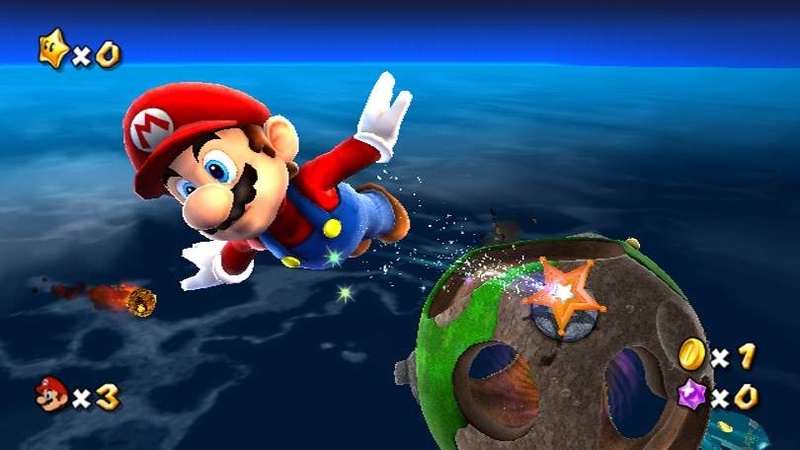 Super Mario Galaxy managed to spark my imagination and expand my thinking about how fun video games could be. Galaxy is truly out of this world. The all-star brawl is on! Masahiro Sakurai is known for cramming a lot of content into each of his games. 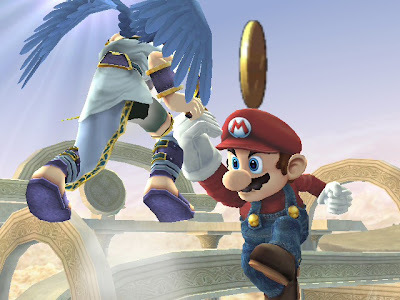 His most recent creation was Kid Icarus: Uprising which showed that even on handhelds, he could send gamers for second, third, and fourth helpings long after they had beaten the game. 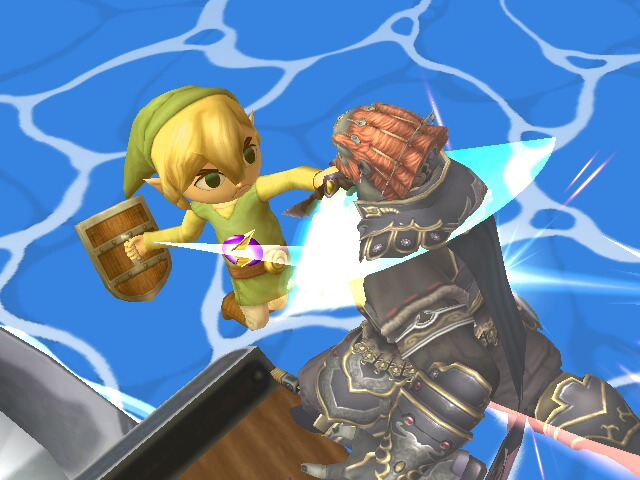 Super Smash Bros. Brawl is no different. 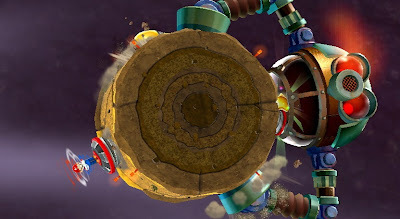 Offering an interesting story mode with heroics and villainy by the various characters of the Nintendo's unmatched lineup of stars, an abundance of new stages like Delfino Plaza, Mario Circuit, Mushroomy Kingdom, Spear Pillar, Frigate Orpheon, Norfair, Smashville, Skyworld, and many more, new characters like Ike, Pit, Wario, Metaknight, King Dedede, Lucas, Lucario, and third-party additions like Solid Snake and Sonic, and more modes and features than you can shake a Smash Ball at. The addiction of finding new trophies to add to your collection, battling friends and cursing one another out for throwing that Bob-omb at you, and sitting back and relaxing to the hundreds of remixed themes from dozens of veteran video game music composers all create one incredible party game that will have players invested in it for months (or in my case, years). The number one game from Nintendo this gen is also the best game of the generation. While some people are more interested in games that mimic the movie industry and offer "Oscar-quality dialogue", gamers like me just play for the experience and fun a given title has to give. 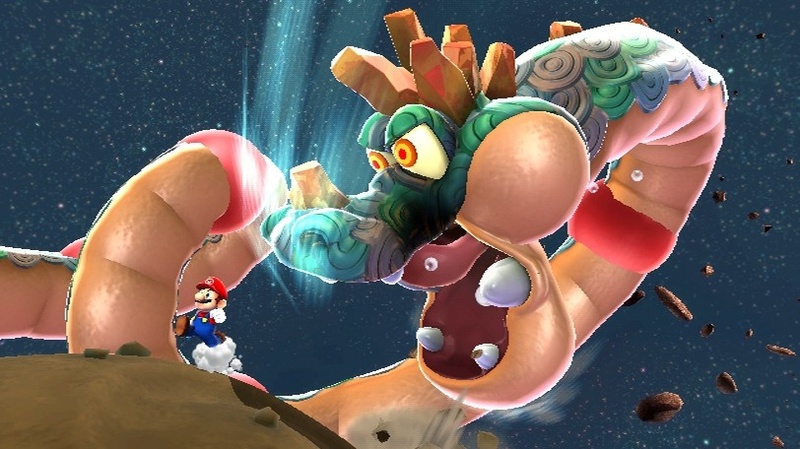 Super Mario Galaxy 2 did not reinvent the wheel. Instead, it simply brought more than its predecessor-- more challenge, more deviously designed levels, more powers such as Cloud Mario, more variety, more epic music, more intense boss battles, more gimmicks (the good kind) in the form of the return of Yoshi, for starters, and more content. Even after the original 120 stars have been collected, you are only halfway done. There are another 120 green stars hidden in each galaxy in oftentimes precarious locations for you to gather. I previously said that Super Mario Galaxy managed to spark my imagination. Well, Super Mario Galaxy 2 managed to spark it, cause an electrical short, and set my brain a-blazing. It's been a long time since I had that childlike naivete that a game could be magical, but here we are with a game that couldn't be more magical even if Tinkerbell tossed a pound of pixie dust on it. What are your favorite first-party games on the Wii? Do some of my choices match yours? Nintendo really knocked it out of the park (hey, just in time for baseball season!) with this generation, and I cannot wait to see what they have cooked up for the Wii U. Nice to see Wario Land Shake It get some love. The only thing I think I would change is Excitebots for Mario Kart. Nothing against the Excite series, because I'm actually quite fond of the Wii games.